One of the children's favourite parts of a music time is getting the percussion instruments out. 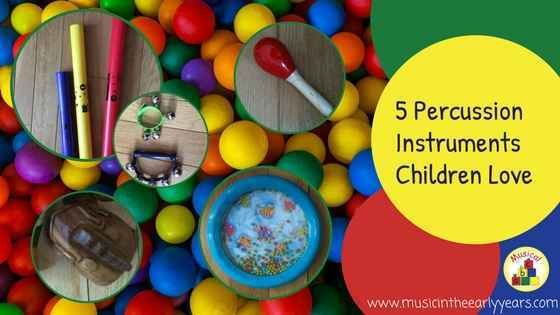 I’m going to share with you 5 percussion instruments that I know the children love getting their hands on. For your convenience, there areAmazon affiliate links for the instruments I mention below. 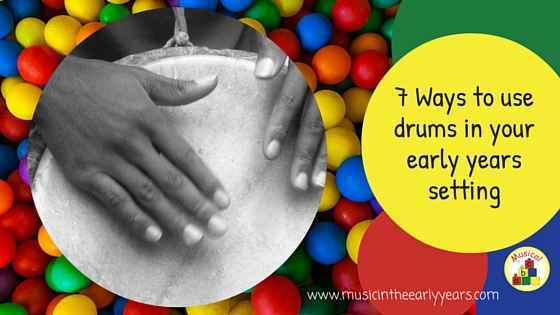 With the children who are 3 years and older ask them to play simple sound patterns using different words on the drums: tapping the syllables in the words.